Can I be charged with reckless driving for having too much stuff in my car? If you haven't cleaned out your car in a while, you might want to add this chore to your to-do list. If your clutter obstructs your view, you could be charged with reckless driving. Virginia law requires you to have a clear view of the front, back, and side windows of your vehicle. If you are transporting objects or have passengers who are blocking your view, you can legally be charged with reckless driving. It does not matter if you have an "overloaded" bumper sticker or your caution lights are on. You must also be able to easily access the driving mechanisms of the vehicle. This means any objects in your car that affect your ability to steer, shift, brake, or signal can result in a reckless driving ticket. This type of reckless driving case often relies heavily on officer discretion. 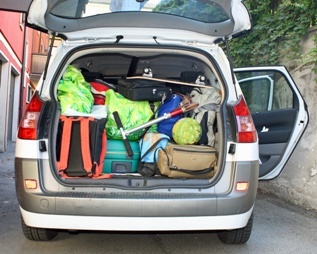 It's not automatically illegal to have multiple passengers or to be transporting bulky objects in your car. It's left up to the officer to determine if your vehicle is overloaded or your view is obstructed in a way that poses a threat to public safety. If you're charged with this type of reckless driving, you will most likely need to present evidence affirming that your view was clear or that you were still able safely operate your vehicle. Relying on your past record as a safe driver would be one way to show that you have good judgement and are committed to being responsible on the road. Since reckless driving is a criminal offense, a conviction carries hefty fines, the possibility of jail time, and the stigma of a criminal record. Don't simply pay your ticket and hope for the best. An experienced attorney can help you build an aggressive defense or develop a strategy to reduce the charge to a lesser offense such as improper driving. To learn more about your options, call today to schedule a free, no-obligation initial case review with Virginia reckless driving attorney T. Kevin Wilson. What constitutes probable cause for a DUI arrest? Before an officer can legally arrest you for a DUI, he must have probable cause you were operating a motor vehicle while under the influence of alcohol or drugs. Swerving, weaving, drifting, or otherwise having difficulty staying in the correct lane. Driving too slowly, too fast, or making improper changes in your speed. Driving without your headlights, stopping for no apparent reason, improper signaling, or other types of vigilance problems. 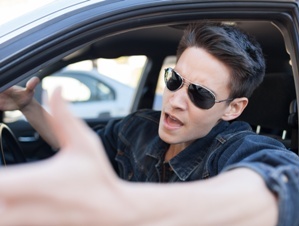 Demonstrating poor judgement through actions such as tailgating, arguing with another driver, or improper stopping in response to a police signal. DUI checkpoints are permissible under Virginia law, but only if they meet specific criteria. They must be publicized in advance and police officers aren't allowed to stop every vehicle that passes. They must use a mathematical formula to choose who gets stopped, or wait for driver behavior to give them probable cause. If you've been arrested for a DUI, challenging the legality of your arrest may be one option to consider. When making an arrest, officers are supposed to consider the totality of your circumstances. For instance, one example of erratic driving could mean you were distracted for a second or two. However, several examples of erratic behavior combined with slurred speech and a failed sobriety test provides a stronger justification for your arrest. Having a skilled attorney prepare your DUI defense ensures he'll investigate every option available to support your case. Virginia attorney T. Kevin Wilson is committed to helping drivers avoid the stiff penalties associated with a DUI conviction. Call today to schedule a free, no-obligation initial case review. Using your turn signals is more than just a good way to be courteous to other drivers. Turn signals are legally required as a key component of safe driving behavior. If you fail to signal a turn, a Virginia law enforcement officer can decide to arrest you for reckless driving. Virginia law requires you to provide "adequate and timely signals of intention to turn, partly turn, slow down, or stop." This is so your intended path is clearly communicated to others on the road. According to the Virginia Driver's Manual, this means you should signal at least 100 feet ahead of the turn. This is roughly three to four seconds before you turn. If there is a stop sign or traffic light at the intersection, you're also required to come to a complete stop before turning. If you forget to use your turn signal because you're distracted, inattentive, or in a hurry to get to your destination, you can be charged with reckless driving. It does not matter if you've broken no other traffic laws and no one is hurt because of your actions. Many drivers with an otherwise spotless record are surprised to learn that reckless driving is a criminal charge and not a simple traffic violation. This means that a conviction carries hefty fines as well as the possibility of jail time. You'll also be left with the stigma of a criminal record that can affect future employment opportunities, your ability to maintain an active security clearance, and more. To protect your rights, it's best to hire an experienced attorney who can help you develop the strongest possible defense. Some of the options available to you might include attending a driver improvement clinic or completing community service hours in exchange for having the charge reduced to a traffic violation such as improper driving. Call today to schedule a free, no-obligation initial case review with Virginia reckless driving attorney T. Kevin Wilson. Am I eligible for a restricted license if I’ve been convicted of reckless driving in Virginia? For many people, the most stressful aspect of a reckless driving conviction is dealing with the loss of driving privileges. Fortunately, it's often possible to receive a restricted license if you petition the court. If you were convicted of reckless driving, the court can grant you a restricted license at the time of the conviction. The judge is not required to approve your request for a restricted license, but demonstrating a legitimate need for transportation and being respectful throughout the process can increase the odds of your request being granted. In most cases, the restricted license is a green piece of paper that lists your specific driving restrictions. You must sign the paper and keep it with you at all times. You are not allowed to drive for any reason that is not specifically listed on your restricted license. This includes small side trips such as stopping to get groceries on your way home from your child's school or giving a coworker a ride to or from work. Driving for unauthorized purposes can lead to your restricted license being revoked, as well as adding additional fines or potential jail time to your sentence. While a reckless driving conviction carries stiff penalties, having a skilled attorney to guide you through the process can help you with steps such as requesting a restricted license or filing an appeal. Virginia attorney T. Kevin Wilson is committed to helping clients build an aggressive defense against reckless driving charges. Call today to schedule a free, no-obligation initial case review. If my GPS said I wasn't going as fast as what the arresting officer claimed, can I use this to get out of a reckless driving charge? 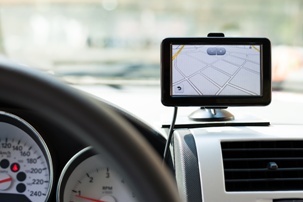 Your car's GPS can be a lifesaver when you need directions to your destination, but it won't necessarily be effective as evidence in a reckless driving case. The problem with using GPS evidence in your reckless driving case is that you'll need to prove your GPS is working correctly. A trooper's radar unit is regularly checked to make sure it is calibrated appropriately. A GPS unit isn't, since its main function is to make sure you can find your way to your destination. If you want to use GPS evidence in your reckless driving case, your attorney will likely recommend obtaining a speedometer calibration. The results of a speedometer calibration, when compared to your GPS, can be used to verify that the evidence you're presenting is correct. Speedometer calibration is done with a machine called a dynamometer. With your car's wheels resting on the dynamometer's cylinders, the dynamometer shows how fast you would be traveling if you were on the road. This reading is then compared to what your speedometer says. If the results of the speedometer calibration aren't in your favor, you don't have to submit the evidence unless the prosecution requests it. Since speedometer calibrations are fairly inexpensive to obtain, this makes them well worth investigating as an avenue of defense in your reckless driving case. GPS evidence supported by a speedometer calibration is most likely to be effective if you were initially clocked at close to Virginia's reckless driving cutoff of 20 miles over the posted speed limit or 80 miles per hour regardless of the posted speed limit. In these cases, a discrepancy of a few miles can typically get your charge reduced to a lesser offense. Since reckless driving is considered a criminal offense and not a simple traffic violation, you'll face hefty fines, the possibility of jail time, and the stigma of a criminal record if you're convicted. Virginia attorney T. Kevin Wilson is committed to helping clients build an aggressive defense against reckless driving charges. Call today to schedule a free, no-obligation initial consultation. If you're in the military or work for the government in a capacity that involves handling sensitive information, maintaining an active security clearance may be an essential condition of your employment. While one reckless driving charge won't necessary prevent you from keeping your security clearance, you may run into problems if there are other factors that call your judgement into question. The rules for maintaining a security clearance become stricter as you advance in your career. For example, a low-level security clearance may only require that you report felony convictions. A mid-level clearance may be sympathetic to one mistake, but less understanding if your record suggests a pattern of irresponsible behavior. To figure out the best way to proceed, you'll need to speak to your clearance officer to learn more about how a reckless driving charge may affect your security clearance. If you maintain an active security clearance and are facing a reckless driving charge, it would be a grave mistake to simply pay the fine and accept the consequences. With the assistance of an experienced attorney, you may be able to have the charge reduced to a lesser offense or dropped all together. For example, agreeing to complete a driver improvement clinic or community service may allow you to have your charge reduced to the lesser offense of improper driving. Virginia attorney T. Kevin Wilson is committed to helping clients build an aggressive defense against reckless driving charges, with a proven record of success. To learn more about your options, call today to schedule a free, no-obligation initial case review. If reckless driving is a crime, why was I not handcuffed or taken to the station? Under Virginia law, reckless driving is considered a criminal charge and not a simple traffic violation. However, it's unlikely that you would be handcuffed or taken to the station if you were charged with this offense. When you're pulled over for reckless driving, the paper ticket the officer gives you is actually a legal summons replacing traditional forms of custodial arrest. There will be a date, time, and location listed where you are expected to appear in court. When you sign the ticket, you're promising to appear in court to address the charge. If you refuse to sign or the officer has reason to believe you don't intend to come to court, you can be taken into custody and booked on the charge. Therefore, it's in your best interests to sign the ticket regardless of whether you believe you're guilty of the offense. After you receive a reckless driving ticket, it's important not to panic. The penalties associated with the charge are significant, but an experienced attorney can often get the charge reduced or dropped. There are a number of different defenses that you can use, such as obtaining a speedometer calibration, arguing that your conduct was due to a medical emergency, or agreeing to complete a driver improvement clinic. When you appear in court, it's recommended that you dress conservatively in business casual attire. Be polite and respectful throughout the process. If you choose to testify, keep your testimony concise and stick to the relevant facts. If you will need special accommodations due to a disability or limited command of the English language, you should have your attorney request the necessary accommodations ahead of your appearance. If you aren't a Virginia resident or you are worried that you won't be able to take time away from work to appear in court, your attorney may be able to appear on your behalf. To learn more about your options, call today to schedule a free, no-obligation initial case review with Virginia defense attorney T. Kevin Wilson. 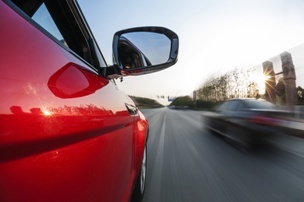 What’s the Difference Between Reckless Driving and Aggressive Driving? I have a CDL and I drive a commercial vehicle for work. How will a reckless driving conviction impact my ability to work? If you are a truck driver who depends on your CDL to earn a living, a reckless driving conviction can have serious consequences. Reckless driving, speeding, tailgating, improper lane change, and fatal crash violations count as serious offenses even if you weren't operating a commercial motor vehicle at the time of the incident. If you are convicted of two serious violations in a three-year period, you will receive a 60-day disqualification of your CDL. If you are convicted of three or more serious violations in the same timeframe, you will receive a 120-day disqualification. Any offense that results in the suspension of your regular driver's license, including reckless driving, will also leave you unable to legally operate a commercial motor vehicle. 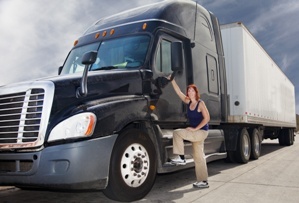 Although drivers are sometimes granted a restricted license to drive for work-related purposes, a restricted license does not apply to operating a commercial motor vehicle. As you might imagine, insurance premiums for commercial motor vehicles can be quite expensive. Because of this, it's common for companies to have strict policies about who is allowed to drive the trucks in their fleet. This means a reckless driving conviction may result in your termination even if you were operating your personal vehicle at the time and don't have previous disqualifying offenses. If you've been charged with reckless driving, you'll want to retain legal representation as soon as possible. When you depend on your CDL to support yourself, a reckless driving charge must be taken seriously. Call today to schedule a free, no-obligation initial case review with Virginia attorney T. Kevin Wilson. How much discretion does a police officer have when making a reckless driving arrest? Virginia law gives officers a significant amount of discretion when making a reckless driving arrest. However, judges also have discretion to reduce or drop the charge in many cases. Beyond these behaviors, officers can charge a driver with reckless driving whenever he is operating a vehicle in a manner that endangers life, limb, or property. This means an officer can charge you with reckless driving for swerving, weaving, tailgating, or any other behavior perceived as either aggressive or unsafe. Since officers have a great deal of discretion in issuing a reckless driving citation, it's important to be polite and respectful whenever you're pulled over. If you're perceived as rude or uncooperative, the officer will be much less likely to help you out. Judicial discretion plays such a significant role in reckless driving cases that attorneys typically advise drivers to appeal any initial conviction they receive. An appeal grants a new trial with a different judge, thus increasing your odds of finding someone who will be more lenient in assessing penalties. An experienced reckless driving attorney will help you build the strongest possible defense to have the charge reduced to a lesser offense such as improper driving or dropped altogether. Call today to schedule a free, no-obligation initial case review with Virginia defense attorney T. Kevin Wilson. What Happens When the Charging Officer Doesn't Show Up to Court for a Reckless Driving Offense? Why was I charged with reckless driving for passing someone at a railroad crossing? 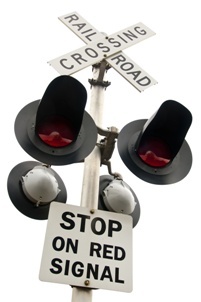 Passing someone at a railroad crossing can result in a reckless driving charge, even if your actions don't cause an accident. Railroad crossing accidents have been declining since 1980, but a driver is almost 20 times more likely to be killed in a crash involving a train than in an accident involving another car. For this reason, Virginia takes traffic violations involving railroad crossings very seriously. Virginia law states, "A person shall be guilty of reckless driving who overtakes or passes any other vehicle proceeding in the same direction at any railroad grade crossing or at any intersection of highways unless such vehicles are being operated on a highway having two or more designated lanes of roadway for each direction of travel or unless such intersection is designated and marked as a passing zone or on a designated one-way street or highway, or while pedestrians are passing or about to pass in front of either of such vehicles, unless permitted so to do by a traffic light or law-enforcement officer." A first time offender convicted of reckless driving will have his license suspended for a minimum of 60 days and a maximum of six months. You can apply for a restricted license, which will grant limited driving privileges during certain hours. However, someone with a commercial driver's license can’t obtain a restricted license if his license was suspended for passing at a railroad crossing. In addition to the license suspension, you'll face hefty fines, the possibility of jail time, and the stigma of a criminal record that can affect your future job opportunities, green card application, and more. If you've been charged with reckless driving, it's a mistake to simply pay your ticket and accept the consequences. Virginia attorney T. Kevin Wilson is committed to helping drivers who've been charged with reckless driving build the strongest possible defense. Call today to schedule a free, no-obligation initial case review. Can my Virginia reckless driving charge be reduced to improper driving? Improper driving is a somewhat unique charge under Virginia law. You can't be charged with improper driving by a law enforcement officer, but the judge and prosecutor both have the authority to reduce reckless driving to improper driving when they find your degree of culpability is slight. Having your reckless driving charge reduced to improper driving can be a significant benefit. Improper driving is considered a low-level traffic ticket worth three demerit points on your driving record for three years. In comparison, reckless driving is typically a Class 1 misdemeanor worth six demerit points that stay on your driving record for 11 years. An improper driving charge is most likely when your actions were caused by carelessness or inattentiveness at a crucial moment. For example, if you rear ended another vehicle but were not speeding or disobeying any other traffic laws, you'd have a good shot at getting a reckless driving charge reduced to improper driving. If you were charged with reckless driving by speed, it's more likely that your charge would be reduced to a speeding ticket. Although a speeding ticket is worth four demerit points and stays on your record for five years, having your offense reduced to a speeding ticket will likely benefit you in the long run. Being convicted of reckless driving can result in hefty fines, jail time, and the stigma of a criminal record. Hiring an experienced reckless driving attorney to investigate every avenue of defense will give you an opportunity to have the charge reduced to a lesser offense or dropped altogether. If you simply pay the ticket and accept the consequences, you'll be faced with higher insurance rates and reduced employment opportunities for several years to come. T. Kevin Wilson is dedicated helping Virginia drivers deal with their reckless driving tickets in a way that minimizes the associated penalties. Call today to schedule a free, no-obligation initial case review. Why Did I Get a Reckless Driving Ticket for a Single Vehicle Accident? Can a reckless driving conviction prevent me from driving with Uber or other rideshare services? Uber and other rideshare services are growing in popularity as a way for people to earn extra cash or find flexible employment, but these companies have strict background check procedures for hiring contractors. If you are convicted of reckless driving, this will likely prevent you from becoming a rideshare driver. Uber does not charge for a background check or request a copy of your credit report to determine if you'll be accepted as a driver. Background checks typically take less than seven days to complete. Often, drivers who are initially denied maintain the option to reapply at a later date. Don't simply pay your reckless driving ticket and hope for the best. A reckless driving attorney can investigate avenues of defense to have your charge dropped or reduced to a lesser offense such as speeding. If successful, this would allow you to still earn money as a qualified Uber or rideshare service contractor. If you've already been convicted of reckless driving, an attorney can help you appeal the conviction. This will result in a new trial with a different judge, but you must file an appeal within 10 calendar days of your conviction date. T. Kevin Wilson is committed to investigating every possible avenue of defense for Virginia drivers charged with reckless driving. Call today to schedule a free, no-obligation initial consultation. If I Am Convicted of Reckless Driving in Virginia, Am I Going to Lose My License? Will a reckless driving conviction affect my ability to get a green card? A green card is the document that gives an immigrant authorization to live and work in the United States on a permanent basis. 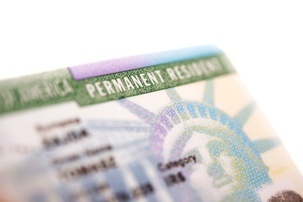 Green cards can be granted based on family or employment connections or as part of refugee/asylum status. However, having a Virginia reckless driving charge on your record could make the process much more difficult. When you apply for a green card, you'll be asked if you've been "arrested, charged, indicted, convicted, fined, or imprisoned for breaking or violating any law or ordinance, excluding traffic violations." Since a reckless driving charge is considered to be a criminal charge and not a simple traffic violation, it must be reported. You'll need to speak with an immigration lawyer to learn more about how a reckless driving charge will affect your case. If you've been charged with reckless driving, don't simply pay the ticket and hope for the best. An experienced attorney may be able to get the charge reduced to a lesser offense such as speeding or have it dropped altogether. This will mean you don't have to report it on your immigration application. Virginia defense attorney T. Kevin Wilson is committed to investigating every possible avenue of defense for his clients, including those who are worried about the impact of a reckless driving charge on a pending green card application. Call today to schedule a free, no-obligation case review. If I Am Convicted of Reckless Driving, Will My Insurance Rates Increase? Will a DUI conviction cost me custody of my kids? Although the court can't take away custody of your child due to a DUI conviction alone, the charge could present a problem if you're currently in the middle of a divorce or a custody battle with a former partner. 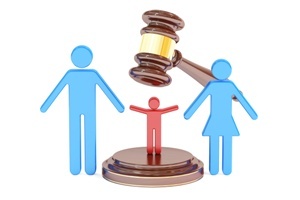 In a child custody case, keep in mind that there are two types of custody that must be decided: legal custody (the ability to make decisions about a child's upbringing such education and religious affiliation) and physical custody (how much time a child will physically spend with each parent). When judges award physical custody, they are trying to decide which parent is best equipped to provide a stable and safe home environment. This includes tasks such as transporting children to school and activities, helping with homework, preparing meals, providing appropriate discipline, and serving as a positive adult role model. Older children may be allowed to express a preference as to which parent they want to live with, but a judge always has the authority to rule against the child's wishes if there are safety issues involved. Having access to skilled legal representation can help you minimize the negative consequences associated with a DUI, including any effect on pending child custody hearings. Virginia defense attorney T. Kevin Wilson is dedicated to investigating every possible avenue of defense for his clients. Call today for a free, no-obligation case review. If I am convicted of a DUI in Virginia, will I be required to go to rehab? If you are charged with driving under the influence of alcohol or drugs, the court might question if this suggests you have a substance abuse problem. The judge could order you to attend a court-approved rehab facility or you may voluntarily offer to attend rehab to reduce the penalties associated with the DUI charge. Virginia law gives judges discretion to use court-ordered rehab instead of jail time for nonviolent offenders. This helps keep the prison population down and can provide offenders with the support they need to avoid future legal troubles. 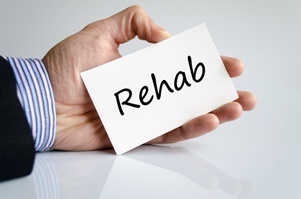 Rehab can also be ordered as part of a sentence that includes some jail time, depending upon the circumstances associated with the charge. There are court-ordered treatment facilities throughout the state, offering both inpatient and outpatient rehab programs for drug and alcohol abuse. Even if the court does not require you to complete a drug or alcohol rehab program, voluntarily seeking treatment can be a way to avoid jail time or earn a more lenient sentence. By admitting you have a substance abuse problem, you're telling the judge that you understand your conduct was inappropriate and that you're committed to making sure the same thing doesn't happen again. Voluntarily seeking rehab is most effective for first time offenders, but still an option even if this is a second or subsequent offense. However, you should speak to your attorney before committing to a program to ensure that the facility's treatment plan is one that is likely to be supported by the court. The penalties for a DUI conviction can be quite serious, which is why it's vital that you have access to skilled legal representation throughout the process. Virginia defense attorney T. Kevin Wilson has advanced training in standardized field sobriety testing, breath alcohol testing, and blood alcohol testing, which allows him to investigate every possible avenue of defense for his clients. Call today for a free, no-obligation case review. Can I appeal a reckless driving conviction? If the judge returns a guilty verdict in your reckless driving case, don't panic. Virginia law allows you to appeal the outcome of your reckless driving case and be granted a new trial with a different judge. 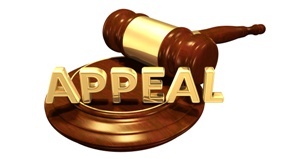 In many cases, an appeal results in an acquittal or reduced charges. You have 10 calendar days to initiate the appeal process. You can do this by informing the General District Court clerk that you want to appeal your conviction. 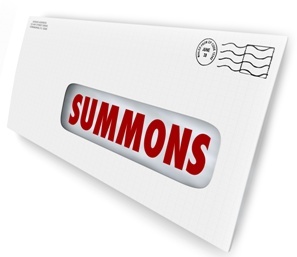 At this time, you'll be asked to complete and sign a Notice of Appeal form. Your second reckless driving trial will proceed in the same basic manner as the first trial. The only key difference is that you're allowed to request a jury trial on appeal. However, the benefits of this option should be considered carefully since you'll need to pay the court costs for a jury trial if you're convicted. Is an Appeal Worth My Time? Appealing your reckless driving conviction costs time and money, so this is a decision that shouldn't be made lightly. The biggest reason to appeal your conviction is that judges have a fair amount of discretion in trying reckless driving cases. If you had a judge who is notoriously strict or your case involved mitigating factors such as a medical emergency, appealing might very well result in an acquittal. You should also appeal your conviction if you didn't hire a lawyer or if you're not confident your previous lawyer represented you to the best of his ability. Having access to skilled legal representation is vital in beating a reckless driving charge. Virginia defense attorney T. Kevin Wilson is committed to helping drivers handle both misdemeanor and felony reckless driving charges. He works with each client to develop a defense most appropriate to the circumstances. He may recommend options such as speedometer calibration, completion of a driver improvement clinic, or using community service to have the charge dropped. Please call today to schedule a free, no-obligation consultation. When Does Illegal Passing Result in a Reckless Driving Charge? If you're involved in a single vehicle accident, you might end up with a reckless driving ticket even if you didn't cause injuries or property damage to anyone else. Virginia law requires police officers to write a ticket whenever there is an accident that involves some sort of injury or damage, even if it's minor and only affects the driver of the vehicle. Drivers often end up with a reckless driving ticket simply because there aren't many possibilities for a citation that fits this particular situation. In a single vehicle accident, receiving a ticket for reckless driving is interpreted to mean that you failed to maintain control of your vehicle. Since you were involved in an accident, it's true that you did lose control of your vehicle at some point. However, it's not a good idea to simply plead guilty and pay the ticket. The judge has great discretion in reckless driving cases involving a single vehicle accident that caused no injuries or property damage to anyone but the driver. The law recognizes that the mere fact you were in an accident doesn't mean you are guilty of a crime. The defense must actually prove that you engaged in reckless behavior, such as speeding or falling asleep at the wheel. If you can show that weather, medical emergency, or some other extenuating circumstance played a factor, you may be able to have the charge reduced to improper driving or dropped altogether. Showing a past record of safe driving may also act as a point in your favor. Reckless driving is considered a criminal charge under Virginia law, not a simple traffic violation. A conviction leaves you with fines, the possibility of jail time, and the stigma of a criminal record. After a single vehicle accident, there's no reason to accept these consequences without a fight. Attorney T. Kevin Wilson has extensive experience helping Virginia drivers handle their reckless driving cases. Call today to schedule a free, no-obligation case review. What happens if the arresting officer doesn’t show up to court for a reckless driving offense? When you're running late or in a hurry to arrive at your destination, getting behind a slow-moving driver is immensely frustrating. However, making the decision to pass illegally could result in a reckless driving charge. You passed at a railroad crossing. You passed at a highway intersection. You passed on the crest of a hill or slope. You passed as you were approaching a curve in the road. The vehicle you passed was a stopped school bus. The vehicle you passed was an emergency vehicle. You attempted to pass two or more vehicles at the same time. All of these scenarios are particularly dangerous because they increase your odds of being involved in an accident that injures yourself and/or others. You may be able to have your charge reduced if you have a previous clean driving record and can provide character references. Attending a driver improvement clinic or completing community service can also be a way to demonstrate remorse for your actions. Improperly marked roadways, poor weather conditions, or a medical emergency may be used as mitigating factors. A reckless driving charge carries stiff penalties, including fines and the possibility of jail time. The charge gives you six demerit points on your driving record and remains visible for 11 years, resulting in substantially higher auto insurance rates. Drivers are also left with the stigma of a criminal record, creating difficulty in securing future employment opportunities. To protect yourself, you'll want to work with a skilled attorney to build the strongest possible defense. T. Kevin Wilson has extensive experience working with Virginia drivers to reduce or drop reckless driving charges. Please call today to schedule a free, no-obligation case review. 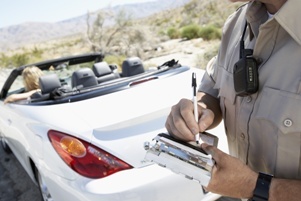 Can my DUI be dismissed if the officer didn’t read me my Miranda rights? When someone is arrested on TV, the cop automatically starts to "read the person his rights." On TV, this usually means telling the arrested person that he has the right to remain silent, that anything he says can be used against him in a court of law, that he has the right to have an attorney present during questioning, etc. However, not receiving your Miranda rights won’t necessarily get your DUI charge thrown out. Police officers are not required to give Miranda warnings immediately upon arresting someone, nor do Miranda rights apply to the preliminary questioning of a subject before he is arrested. In a DUI case, this means that your answers to the initial questions an officer asks while determining if you are intoxicated can be admitted as evidence with no Miranda warning. Two examples of questions that are most often relevant in a DUI case are "Have you been drinking?" and "How much have you had to drink tonight?" However, a formal investigation requires a Miranda warning before evidence can be used in court. If you were interrogated by the police after being taken into custody and you were not given a Miranda warning, your statements can not be used against you. After you are read your Miranda rights, you must affirmatively state that you understand these rights before the interrogation can proceed. If you state that you wish to remain silent or want to speak to an attorney, all questioning must stop. Although the majority of incriminating statements in a Virginia DUI case come before the suspect is taken into custody, there are many situations where this issue still arises in the defense of drunk driving cases. If you believe your statements should be inadmissible due to a law enforcement officer's failure to read you your Miranda rights, this is an issue that should be discussed in greater detail with a qualified defense attorney. Virginia attorney T. Kevin Wilson has extensive experience assisting those who've been charged with a DUI in building a solid defense. To learn more, please call to schedule a free, no-obligation case review. How Long Will a DUI Conviction Show Up on My Virginia Record? If the Court Requires Me to Get an Ignition Interlock Device on My Vehicle, Does the Court System Pay for It?